Is your business looking for an additional source of revenue? There is a huge opportunity in offering professional security monitoring through Clare. Businesses like electricians, locksmiths, or even existing custom CEDIA-style installers can tap into recurring monthly revenue through security installations. In this blog, we'll show you how your business can start taking advantage of this huge opportunity. What is Clare Professional Alarm Monitoring? The smart home doesn't end at home automation. As our industry turns towards security, it's important that dealers adapt to this change. Clare offers our partners the option to introduce professional security monitoring into their projects. The greatest appeal of security is the large amount recurring monthly revenue (RMR) created from security subscriptions. Not every installer is interested in the billing or management of monitoring contracts. For this reason, security contacts are often sold for 30-40% of their monthly value to 3rd-parties. What Security Products Do We Sell? Everyone! Our case studies have shown huge success with large dealers, smaller CEDIA installers, major regional electricians, locksmiths, and many others. 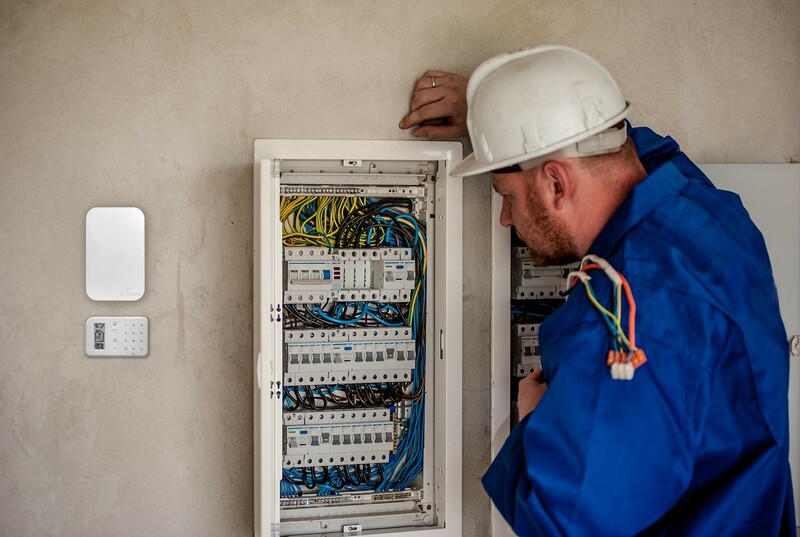 As the installers are already on-site and servicing a home, their contact with the customer gives them the opportunity to easily sell a 3-5 year monitoring contract. In many cases, the installers are actually selling the monitoring contract to a 3rd-party buyer the moment they get back into their truck! A single phone call gets them paid instantly, leaving the responsibility of the security system and further customer interaction to the 3rd-party! A 3-year security contact pays for the equipment and installation time its first year! Actually, there isn't any. Clare offers a single solution that brings the most popular home automation and entertainment devices, monitored security, and video monitoring under one platform. It doesn't matter how large, small, complex, custom or how many projects you have. Clare scales with what you need using one smart home controller. We're here to help! If you are currently a Clare certified dealer who wishes to offer security, our Inside Sales team is available to answer any questions you may have, and to help you get started. If you are new to Clare, download our dealer playbook. Here, we cover everything you need to know about becoming a Clare Dealer, our products and the services we offer. Tap Start Application to get started right away.